“[We are trying] to highlight a different story as it relates to what’s going on here between Mexico and the United States, and the economic vibrancy that is demonstrable here at the border,” Newsom said Thursday as he visited San Ysidro, a district in San Diego, California. Newsom on Thursday hosted a roundtable discussion with local residents to talk about Trump’s national emergency declaration and what life is like on the U.S. southern border. The press conference was largely meant to push back against the president’s narrative that unfettered illegal immigration leads to crime and lawlessness. Participants of the conference spoke on camera about how the town is actually quite safe. However, critics of Newsom’s press conference were quick to point out one glaring detail about San Ysidro: it has a border wall. When the president extolls the benefits of border walls, he brings up the San Diego’s success in deterring illegal immigration after building a wall. Around 40 percent of all illegal border crossings in the Southwest took place near San Diego in the 1980s. However, the communities of San Ysidro, Otay Mesa and Imperial Beach saw a 75 percent drop in crossings in the years immediately following fencing installation in the 1990s. 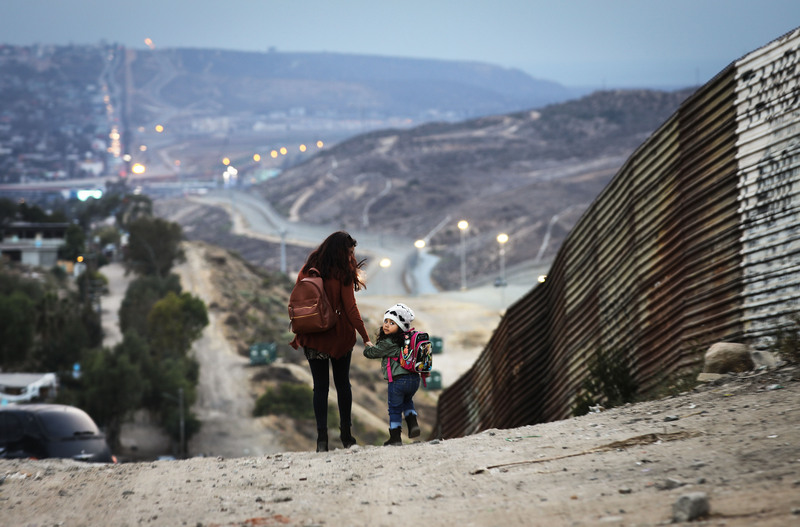 Border officials have since beefed up the walls with steel bollards and military landing mats, making the San Diego border one of the most fortified in the country.